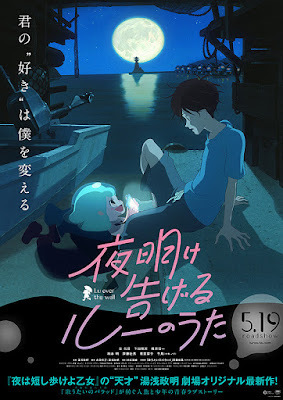 PennsylvAsia: Japanese movies Haikara-san ga Tōru (はいからさんが通る), Lu Over The Wall (夜明け告げるルーのうた) at Row House Cinema for "Wild Animation" series in June. 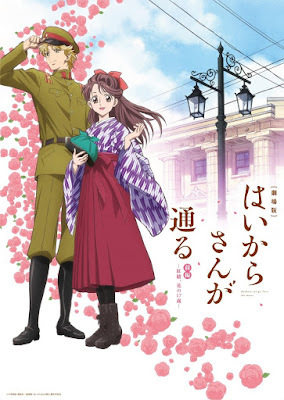 Japanese movies Haikara-san ga Tōru (はいからさんが通る), Lu Over The Wall (夜明け告げるルーのうた) at Row House Cinema for "Wild Animation" series in June. Two Japanese animated films will comprise a "Wild Animation" series at the Row House Cinema from June 8 through 14. A third movie will be announced later, but the two Japanese films so far include Haikara-san ga Tōru (はいからさんが通る) in its Pittsburgh premiere and the 2017 film Lu Over The Wall (夜明け告げるルーのうた), which makes its Pittsburgh premiere on May 11. Ticket and showtime information is not yet available. The single-screen theater is located at 4115 Butler Street in Lawrenceville (map).